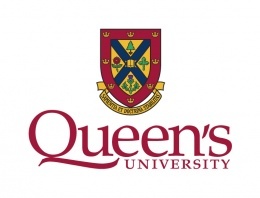 This project forms part of the "Neuromotor Function II" course in the first year of the two year Master of Science in Physical Therapy (MScPT) program at Queen's University, Kingston, Ontario, Canada. Students will work in groups and choose topics in relation to a neurological condition that affects adults and causes movement problems, and/or assessment, rehabilitation or exercise topics that relate to those neurological conditions in adults. Students may either create new pages or review and update existing Physiopedia articles in this area. Search around Physiopedia for pages that relate to the content of the course. Within any relevant pages you find, follow the links and citations to develop a greater sense of their quality and quantity. Notice that inter-relatedness is a highly valuable feature of Physiopedia, optimized if the links and citations add real value. In keeping with the course objectives, the creation and/or editing of page(s) that you do must be related to a neurological condition that affects adults and causes movement problems. You may either describe a specific condition, or you may focus on assessment, rehabilitation or exercise topics that relate to neurological conditions in adults. Your content should be accurate, evidence-based, and have appropriate and accurate inclusion of hyperlinks and citations. The hyperlinks and citations should add knowledge value to your contributions. Your content should have absolutely zero spelling errors, zero grammar errors, zero breaches of academic integrity, and zero copyright violations. If you edit existing pages, your contributions should mesh well with the existing content on that page and be respectful of prior contributors. You are NOT permitted to cite the course textbook or any other textbook that is not freely accessible online to the world. If you take your inspiration for this assignment from the textbook chapters, you should take a look at what references they cite (at the back of each chapter) and look them up online. If relevant, see if you can find anything more current. To get you started you can find help on the Guide to taking part in a student project.